This British style pub is huge on many things; portion size, environment, selection. With options from the biggest damn pizza you’ve ever seen to the more traditional fare such as fish and chips, this place has something for everyone. 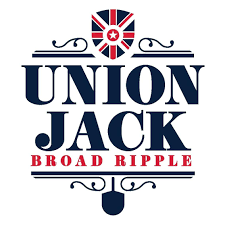 Union Jack Pub has a place for everyone; family-friendly dining and an adult-friendly bar. Enjoy the energy of a soccer match, watch your favorite sports team, or just enjoy good drink, good food, and good friends (both old and new).